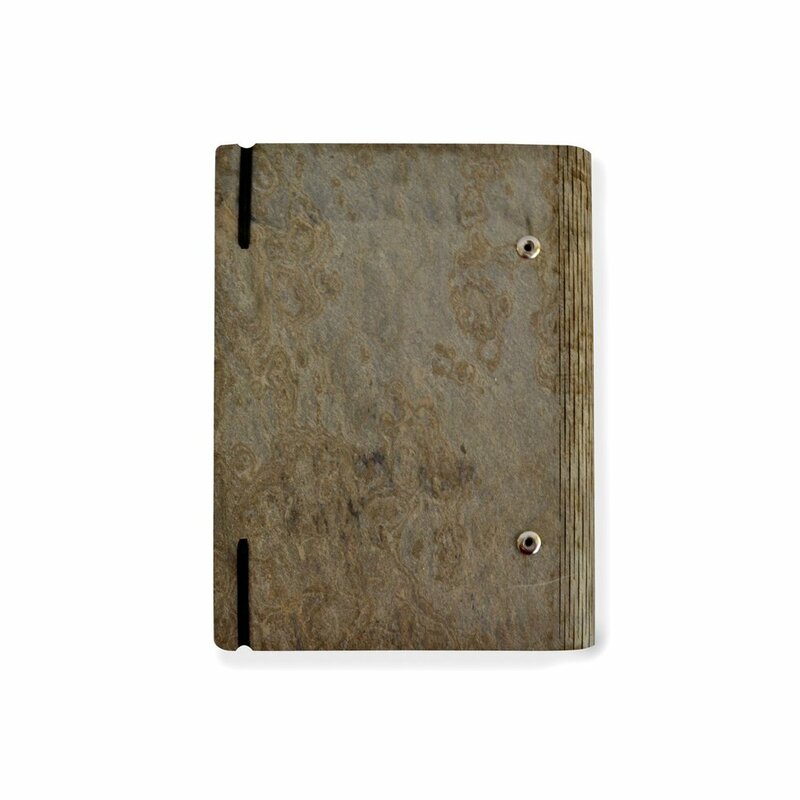 Cool toned pale grey with subtle olive and slate blue stippling give this stone a distinctive appearance. 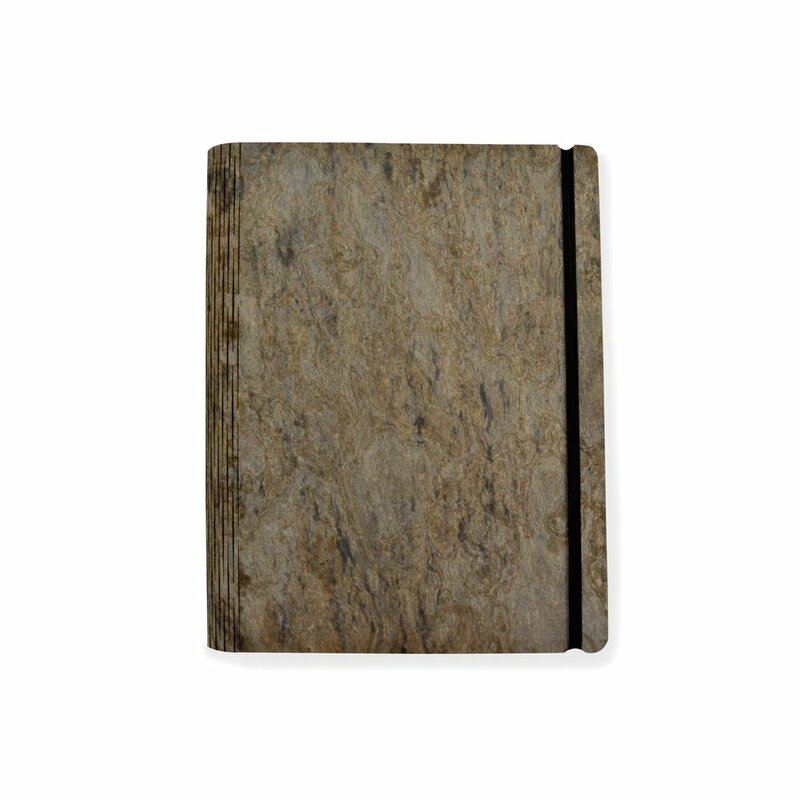 Our hand-finished flexible hinge, stone veneer notebooks, available in a beautiful selection of natural stones, are a stylish alternative to the run-of-the-mill notebook. 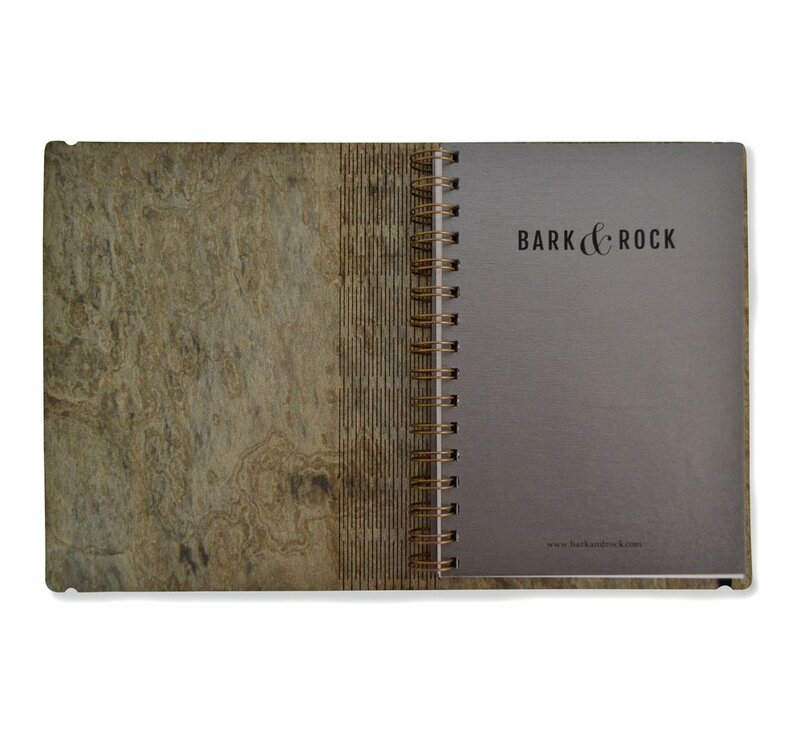 The charm of this product lies in the craftsmanship – a beautiful piece of stone, strategically laser cut to make it flexible.